mint-india-wire StornowayManchesterSTORNOWAY BLACK PUDDINGSouth Asian Art and CultureColin MackenzieSEAFOODOuter Hebrides. I never imagined that mapping the story of India’s first surveyor general would lead me to a tiny town (population 8,000) on a windswept island in the Outer Hebrides. And I certainly did not imagine I would find myself inadvertently locked out of the apartment there at night. “What are you doing?" texted my cousin from London. “I went out to find a sandwich. And the Kathak dancer from Manchester has locked the door. Now I am trying to throw gravel at the window but not too loudly in case the sheep in the barn across the road wake up," I texted back. “This is really random. Did you overdo the malt whisky?" replied my cousin. I did not because in deeply religious Stornoway even the bar shuts by 6pm and the supermarket does not even open on Sabbath. And malt whisky is passé, it seems. Gin is the new single malt. There are apparently 900 varieties of artisanal gin in Scotland. The isle of Lewis and Harris where Stornoway is located boasts of the Harris gin infused with sugared kelp. But I was not here to scope out the gin. 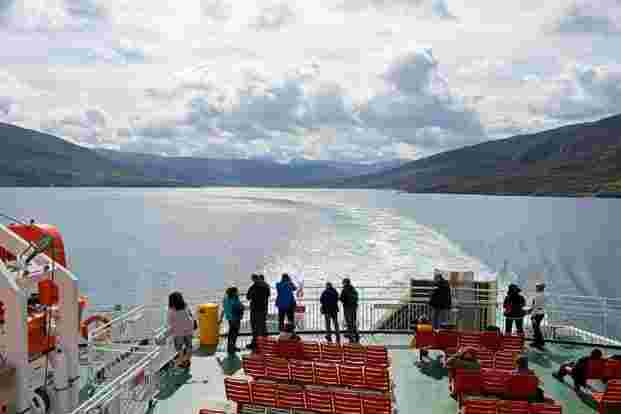 I was in Stornoway as a part of the Purvai Festival of South Asian Art and Culture in collaboration with the Apeejay Kolkata Literary Festival and the Edinburgh Book Festival. We were looking for inspiration in the life and legacy of India’s first surveyor general Colin Mackenzie, born in Stornoway, buried in Kolkata. I also had a more delicate mission. I was transporting a dozen baked clay cups, the kind the roadside chaiwalla serves tea in, for the tea cart at the arts festival. “Give me some sturdy ones," I told the chaiwallah in Kolkata. Puzzled, he said those cups were one-use only, not meant to be sturdy. I didn’t tell him that they needed to survive the journey from Kolkata to Mumbai to London to Edinburgh to Stornoway, no less an odyssey than Mackenzie’s. In 1783, Mackenzie, son of the local postmaster, left his job at the Stornoway customs office and ventured out into the far reaches of the British Empire like many before and after him. He served in the British East India Company, fought against Tipu Sultan, made detailed sketches of temples and stupas, collected palm leaf manuscripts and beautiful sculptures. He planned to retire in Stornoway where his sister lived, build a house and perhaps organize his collection. But he died in India in 1821 and lies buried in a modest grave in Kolkata, his collection scattered in museums all over the world. It’s hard to imagine a greater contrast between sleepy Stornoway with its keening gulls and chilly wind and bustling, humid Kolkata. Even in 2018, there’s something about Stornoway that feels old. The houses and churches, a patchwork of beige and slate and grey, the neat gardens with bursts of pink and mauve hydrangea, the mist swirling around the castle turrets, the phlegmatic sheep with their black faces, the gannets swooping over the loch—all of this would surely have felt deeply familiar to Mackenzie. He must know that wind in his bones, carrying with it the smell of herring and departures. The countryside felt even more timeless. Clouds were piling up, the mist and silvery light turning the heather into brushed velvet. Mackenzie’s grandmother was said to have sheltered Bonnie Prince Charlie, the Stuart claimant to the throne of Great Britain, when he was on the run after being defeated by the English army in 1746. Once there were villages here; these were forcibly cleared to make room for highlands filled with deer for the gentry to hunt. The villagers came back to kill the deer in revenge. A stone monument on a mound commemorates their protest. 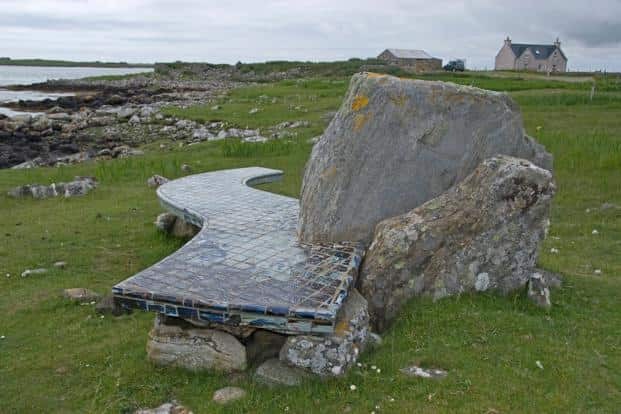 It’s the only monument to disobedience in the British Isles, said a local. Mist and fog rose around us on the single carriage road. The only sign of modernity was a bus stop with two orange plastic chairs. There were no people around, just rain-sodden sheep, the occasional Highland cow with its shaggy fringe, huge Neolithic stone circles older than Stonehenge, the craggy landscape strewn with boulders and cairns, and yellow meadowsweet flowers. We were the only people there, us and thousands of little black midges that attacked with a ferocity that would put Kolkata mosquitoes to shame. There were also the most beautiful beaches I had ever seen, with lilting names like Luskentyre, miles of white sand where purple jellyfish had washed up and water the turquoise colour of tropical Hawaii but deceptively so. It was freezing cold even in summer. “Until I was 20, I didn’t know a beach could be warm," quipped best-selling crime writer Abir Mukherjee who grew up in Scotland. My partner-in-crime, poet Sampurna Chattarji, from Mumbai and of far less hardy stock, huddled deeper into her fur-lined jacket until she resembled a walking clump of heather. My nose was running but it was so utterly beautiful that I could understand why it would tug at Colin Mackenzie, why he would sit in Calcutta and dream of the Stornoway mist rising thickly around us like memory. The family plot in the cemetery still has gravestones for the Mackenzies, now covered in lichen. Colin Mackenzie just has a dedication saluting his “indefatigable research into ancient history, literature and antiquities of that interesting part of the world". I wondered how he would have fit back into devoutly Christian Stornoway. His Parsvanatha statue, sketches of Kali with a skull necklace were surely still too exotic for Stornoway with its chip shops and churches with soup lunches? Later that day as we shopped, a woman came up to us and asked, “Are you the Indian writers here for the arts festival?". We smiled, thrilled that our fame had preceded us. Perhaps she recognized us from the programme brochure? “No, the arts centre director said you were here," she said sheepishly. “You are just the only Indians in the supermarket." But even Stornoway is changing. At the little gift and curio shop as we browsed through samples of Harris tweed, a woman with a strong Scottish accent asked if we needed any help. She was wearing a hijab, her skin tone almost as brown as ours. When we left the store, I noticed its name. Sardar’s Gift Store. Colin Mackenzie did not make it back home. But clearly bits of the subcontinent he once mapped, did. And we left behind a little bit more—a dozen clay cups. Eleven, actually. The 12th had shattered, a reminder that not all journeys are completed. STORNOWAY BLACK PUDDING: The famous sausage made with suet and oatmeal has a Protected Geographical Indication tag. The Charles Macleod butcher shop, a family business over six decades old, is its most famous purveyor. If you’re feeling adventurous, the local Indian/Turkish joint has black pudding pakoras (fritters). HAGGIS: A savoury pudding made with sheep’s heart, liver, lungs and oatmeal has gone gourmet. Usually served with neeps, or turnip mash, and tatties, i.e. mashed potatoes. SEAFOOD: Looking a bit like crayfish, the slim orange-pink lobster-like langoustines need little other than poaching or grilling. Family-run old smokehouses prize themselves on both their smoked Hebridean salmon and smoked venison. LORNE: A square sausage usually eaten in a breakfast roll. OATCAKES: Cocktail-sized hearty Scottish biscuits made with oats and wheat. Stag Bakeries specializes in them, along with seaweed biscuits and the more traditional shortbread. TUNNOCK’S: Chocolate-coated marshmallow teacakes on a biscuit base from a company that dates back to 1890. It was once the subject of a court case to determine if it was a cake or a confectionary. IRN-BRU: A bright orange Scottish soda that tastes like fizzy cough syrup meets Red Bull.